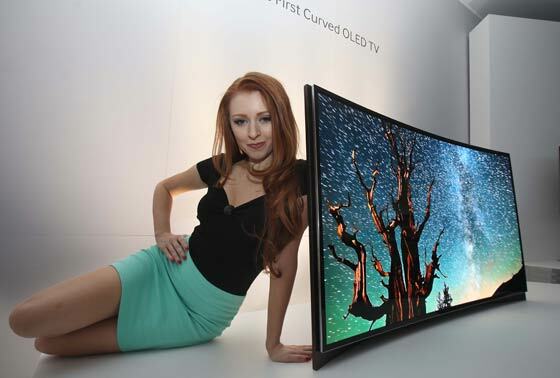 Samsung have one of the largest booths at the 2013 CES. The South Korean electronics giant really does need the space because it has a lot on show in Las Vegas this year. The range of Samsung kit on display includes both big and curvy TVs, computers, cameras and even Android powered fridges. Two new TVs on show by Samsung are particularly eye catching; the eye popping Samsung Super Large-size TVs and a curved OLED TV, which is one of those “world’s first” things that have popped up quite a lot recently. 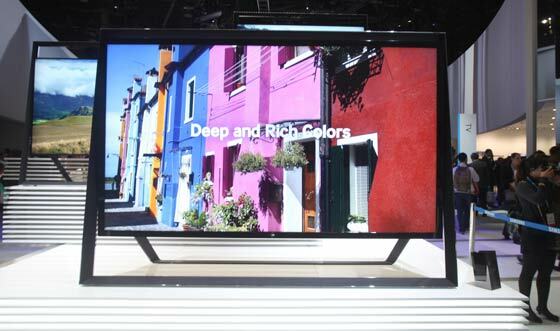 The Samsung Super Large-size TVs presents viewers with an “unreal size, unreal experience” and is 110 inches in diagonal. This TV set will be available by the end of 2013. These super sized models will all feature high contrast “precision black” screens and be controlled by voice and gestures. 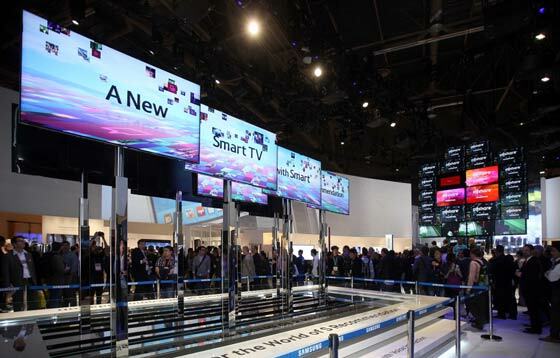 For fluid response and Smart TV functionality these TVs have quad core processors. The Telegraph has a video of one of the 100-inch beasts here. An official Samsung picture of it is below. 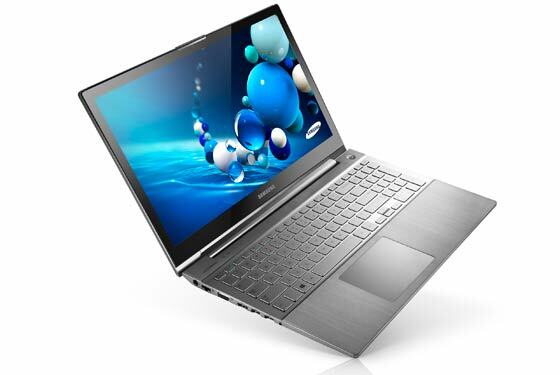 Samsung unveiled the Series 7 Chronos laptop and the portable Series 7 Ultra Notebook. The Series 7 Chronos sports a 15.6-inch full HD display which offers 10-point multi-touch capability. It’s just 20.9mm thick and can run for 11 hours on battery power. The Series 7 Ultra is an ultra-slim design. Its chassis is made of aluminium and the 13.3-inch full HD screen again offers 10-point multi-touch. Choose from i5 or i7 processors and up to 256GB of SSD storage. This highly portable computer has battery life of about 8 hours. Both the new Samsung notebooks come with Windows 8 installed and you can read more about them within Samsung’s press release. 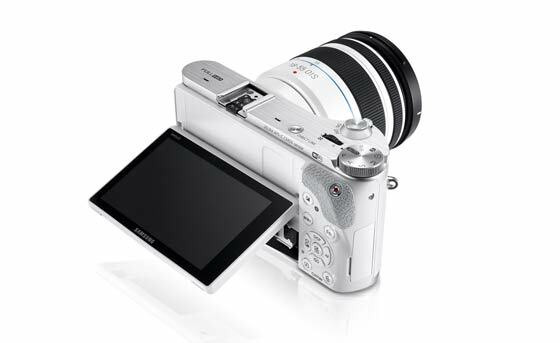 As Mr Stanford mentions, there is a new 2D/3D lens available for the NX300. This 45mm lens is “the world’s first one-lens 3D system for a consumer camera”. Users will be able to take 3D stills and movies with this addition to their kit bag. Read more about the NX300 and 3D lens in Samsung’s press release. 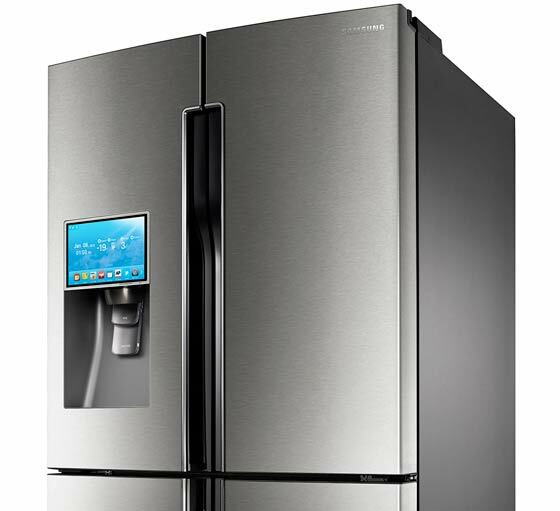 Samsung’s T9000 LCD Refrigerator has a 10-inch touchscreen and runs a version of Android. The fridge comes pre-loaded with the Evernote cloud based note-taking and organisation app. PC Pro suggest that when you run out of some refrigerated items you just write a note on the screen which gets added to your smartphone shopping list! The American style double-door fridge has a capacity of 25.5 cubic feet for chilled food and 6.1 cubic feet for freezing. But … but … you can be at work and think I fancy pea soup tonight. Google will search/scan your fridge and let you know if you have got peas left!